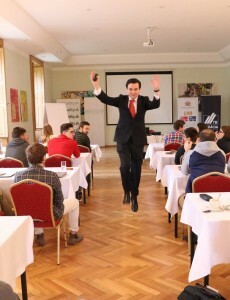 The eighth year of the Seminar on Austrian Economics organized by INESS was traditionally held in the Mojmírovce manor on March 15 to 18, 2018. Here, 29 students from various universities from all around Slovakia and the Czech Republic got together. September 19th – 22nd was a time when a group of 25 students eager to broaden their knowledge of Austrian Economics met at Chateau Mojmírovce. INESS invites to Seminar on Austrian Economics WHEN 19-22 April 2012 WHERE Hotel Odevák Odborárska 15, Piešťany Slovakia 4-day long intensive event for Slovak elite online casino canada Everyone who drives should take a safe driving defensive driving course or defensive driving classes. university students where renowned international and domestic lecturers introduce various aspects of Austrian school of economic thought. More information here.